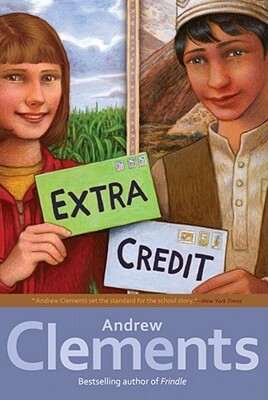 Atheneum Books for Young Readers, 9781416949312, 224pp. It isn’t that Abby Carson can’t do her schoolwork. She just doesn’t like doing it. And consequently, Abby will have to repeat sixth grade—unless she meets some specific conditions, including taking on an extra credit project: find a pen pal in a distant country. But when Abby’s first letter arrives at a small school in Afghanistan, complications arise. The elders agree that any letters going back to America must be written well, but the only qualified English-speaking student is a boy. And in this village, it’s not proper for a boy to correspond with a girl. So, Sadeed’s sister will dictate and sign the letters for him. But what about the villagers who believe that girls should not be anywhere near a school? And what about those who believe that any contact with Americans is...unhealthy? As letters flow back and forth—between the prairies of Illinois and the mountains of central Asia, across cultural and religious divides, through the minefields of different lifestyles and traditions—a small group of children begin to speak and listen to each other. And in just a few short weeks, they make important discoveries about their communities, about their world, and most of all, about themselves.